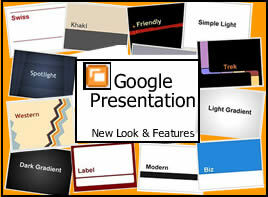 To get a glimpse of the new tool in action, please view the Google Presentation below. Thank you Susan for sharing it. It is cool. http://www.prezi.com is another presentation software on internet. Thanks for the suggestion, Oylum. I have used Prezi and really like being able to create Presentations that are outside of the box!